TV news is losing one of its coolest people. 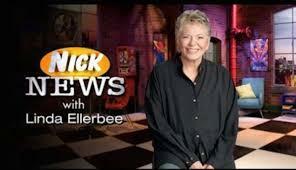 Linda Ellerbee, who has worked some of the more remote and interesting corners of the business for the last half century, is packing it in with a final edition of her Nick News for kids on Nickelodeon at 8 p.m. Tuesday, Dec. 15. The hour-long finale is titled "Hello, I Must Be Going," after a song from the 1930 Marx Brothers film Animal Crackers. It's unlikely that most of her target demo remembers the flick, but so what? They'll get that the phrase is quirky and bemused, qualities Ellerbee has executed marvelously over many years. Ellerbee spends the hour walking back over her 25 years as host of the best -- and okay, for all practical purposes only -- regular show that broke down the news into elements a pre-teen audience could understand. It's a concept that could have been patronizing and condescending in the wrong hands, and Ellerbee says here that's exactly what she wanted to avoid. Kids aren't stupid, she said. They just haven't yet had the life experience to distill the AIDS crisis or Sept. 11 into an understandable context. Equally important, she says, she promised she would never lie to an audience that gets lied to all the time, albeit often under the pretext of protecting them. Ellerbee presumably took a lot of deep breaths before she plunged into stories on kids with cancer, or societies that refused to educate girls, or young gay teenagers wrestling with whether and how to come out. She did all those stories, and more. When she did her Sept. 11 story, she laid out the tragedy while also noting the many people who acted bravely and heroically. She always looked for that upbeat note, not to put a smiley face on everything, but to point out that there's good even in the worst stories. Sept. 11 also illustrated why Ellerbee felt the kids' news program was necessary in the first place -- not because kids don't have a general sense what's happening, but because regular media coverage can be so "loud" it needs a calmer counterpoint. Kids' news isn't the first time Ellerbee has worked the fringes of the news game. From 1982 to 1984, after 18 years in radio, local and network TV, she co-anchored an experimental wee-hours newscast, NBC News Overnight. Airing 1:30-2:30 a.m., it was designed to wrap up the preceding day and put it into perspective while providing a glimpse of what might lie ahead. That turned out to be something Ellerbee was particularly good at, and NBC News Overnight quickly became one of the best news shows on television. Probably because it aired outside prime-time, she and co-anchors Lloyd Dobyns and Bill Schechner were allowed more stylistic latitude, so the shows were sprinkled with whimsy and humor as well as solid reporting. Ultimately NBC decided the modest audience wasn't worth it, and Ellerbee spent a couple of years on The Today Show and a year at ABC before she and her husband Rolfe Tessem decided to start producing their own shows. Many have that dream. Few make it work. Ellerbee and Tessem did. They started Lucky Duck Productions in 1987 and created dozens of shows, including Nick News in 1992. Ellerbee mentions in the final show that she's among a relatively small group of journalists who leave the game on their own terms. What she doesn't have to say is that she's part of an even smaller group that, for almost 30 years, got to call a lot of her own shots. 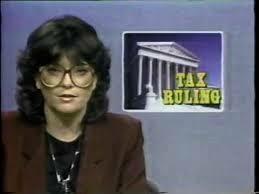 Early in her career she was rising through the heart of mainstream network news. She switched to roads less traveled, and she says on Tuesday's special that she's glad she did. And presumably not just because she got to dress for work in jeans and colorful sneakers. Our here on the other side of the screen, we enjoyed the ride, too. We're going to miss her.